Preheat oven to 350°F. 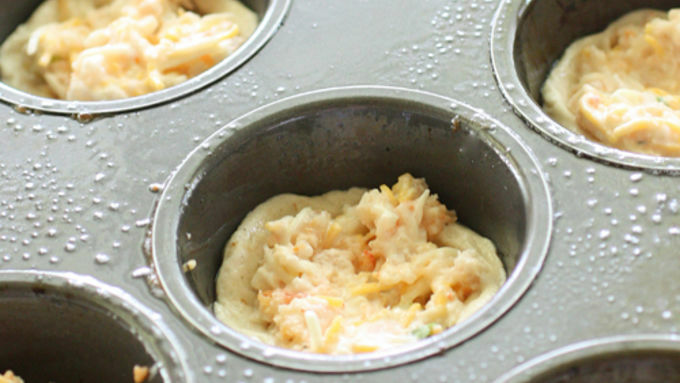 Spray a miniature muffin tin with cooking spray. Take each biscuit and split in half. Press the biscuit half onto the bottom and up the sides of the miniature muffin tin. In a small bowl mix the cheese, scallions, mayonnaise, garlic, and shrimp. Place one tablespoon of the shrimp mixture on top of each biscuit. Bake for 20 minutes or until shrimp puffs are golden. Remove from pan. Sprinkle with a dash of dried parsley and serve. Sometimes when I go to a restaurant, my friends and I like to order an array of appetizers as our meal. It’s a way we all get to try everything that catches our eye and it keeps dinner light. Why not host an appetizer party in our own home? These Shrimp Puffs are easy and impressive and would surely be the star of any get together. Shrimp all by itself seems to have an upscale air to it. You’ll never believe how fast these shrimp puffs come together. 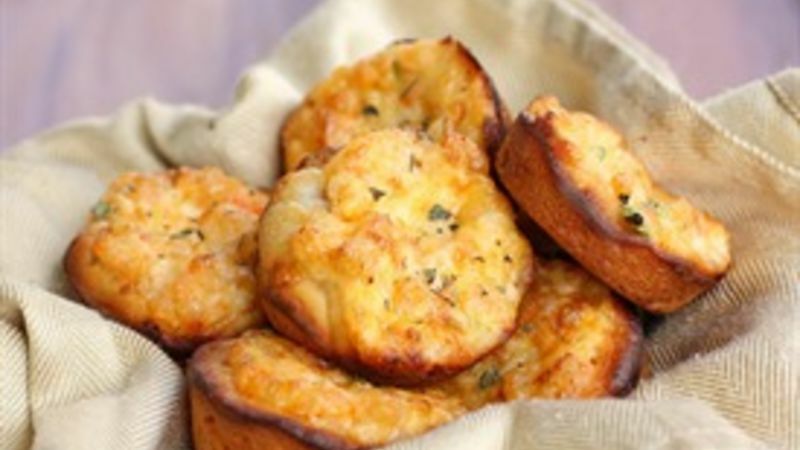 Shrimp and cheese top a buttery biscuit and are baked until golden and bubbly. Yum! What I love about them is that they’re not your everyday appetizer. They are unique and full of flavor. Not a fan of shrimp? I’m not going to lie, shrimp and I have had an on-and-off-again relationship since I’ve been pregnant. Currently, we love each other. No worries … these puffs are versatile enough to change with my food moods. You can easily replace the shrimp in this recipe with crab or lobster meat. Really … you can’t mess it up when cheese and biscuits are involved. Not to mention they freeze beautifully for a spontaneous appetizer!